Important ideas to consider and fun elements to implement! Think Mac and cheese, fried chicken, and cheesy potatoes! Buffet dinners are extremely popular in the barn wedding trend, it is a way to incorporate a casual setting with the rustic atmosphere. It is important to consider your floor plan to assure there is enough room for your guests to access the buffet. Perhaps enlist your caterer for a preliminary tour with your venue to get their take on the food placement. Plated dinners bring a sense of elegance to any event. Consider pairing your plated dinner with a local brew to bring in the Wisconsin flare. Plated dinners will also require a plating area for your caterer within the venue, assure that there is plenty of space for your chef to whip up your favorites. 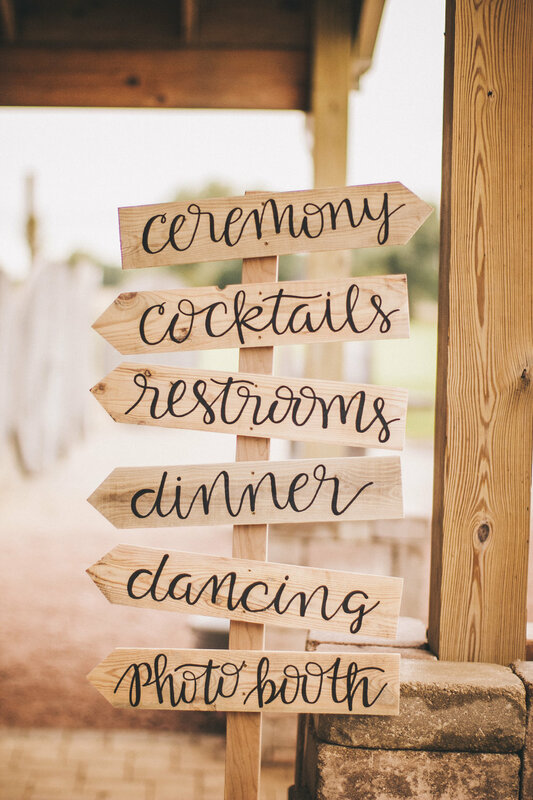 This is our personal favorite for barn receptions, this creates a comfort and warm atmosphere for your reception and allows your guests to converse amongst themselves. An additional benefit is for any elderly guests - typically it is difficult for them to get through a buffet line crowded with people. This can be a fun and unique dinner experience for your guests. An all appetizer reception allows your guests to keep on mingling and dancing throughout the night, without stopping to have a full dinner. It is important to have stationed appetizers as well as butler passed for your guests to easily find items when they are hungry. The rule of thumb in the catering industry is to have 12-15 pieces per person for any dinner appetizer reception.